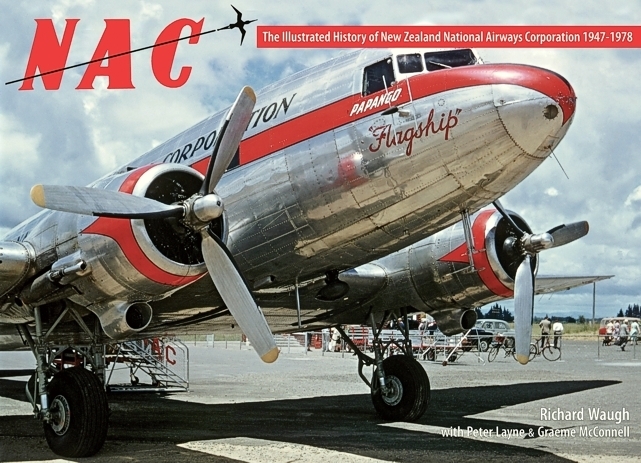 The Illustrated history of New Zealand National Airways Corporation 1947 - 1978 by Richard Waugh, Peter Layne and Graeme McConnell has now been released. This 320 page history, supported by over 500 photographs and illustrations tells the story of NAC which was created by the post-war Labour Government. All private airlines were nationalised and NAC became New Zealand's first State-owned Enterprise. During its 31 years of operation NAC was New Zealand's major domestic airline until it was merged with Air New Zealand in 1978. In its early years it also flew international routes in the South Pacific. NAC's fleet underwent exciting change and development from de Havilland bi-planes to Boeing 737s. Prominent from 1958 until 1975 were the Vickers Viscount 807s which were primarily used on its main trunk route. The original order for three Viscounts at a cost of NZ£1,500,000 was signed in Vickers House, London in December 1955 with the first example, ZK-BRD being delivered in January 1958. In the meantime, Wellington's airport required development from a grass strip catering for de Havilland Herons to take the Viscounts. Illustrated by many rare photographs, this book is the first photographic and social history of NAC. 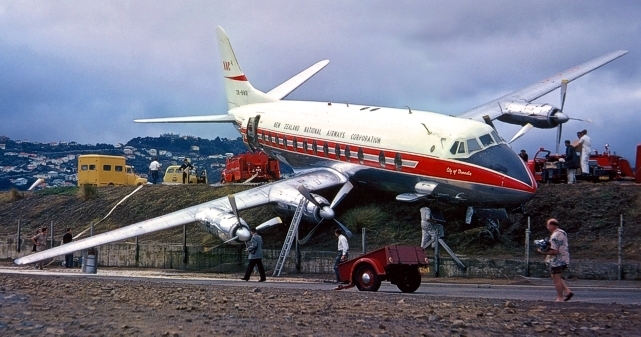 From its inception in the late 1940s the airline earned an enviable reputation for efficiency and reliability. NAC served 30 cities and towns from Kaitaia in the North to Invercargill in the South and carried more than 30 million passengers as it ushered New Zealanders into the age of mass air travel. This book is a must for Viscount buffs as it illustrates the story of NAC's five Viscounts which carried 6.02 million passengers on 134,450 scheduled and charter flights. In 168,620 revenue flying hours these aircraft used 51.4 million gallons of fuel and flew 55.9 million kilometres. Orders for the book can be placed with Craig Printing Co Ltd, 122 Yarrow Street, P O Box 99 Invercargill, 9840, New Zealand. Cost is NZ$79.90 plus postage. Contact Rachel sales@craigprint.co.nz by clicking this link for postage cost for orders from outside New Zealand. For more information about other titles available from the authors visit the New Zealand Airline Research web site. ZK-BWO was delivered to New Zealand National Airways Corporation named 'City of Dunedin'.